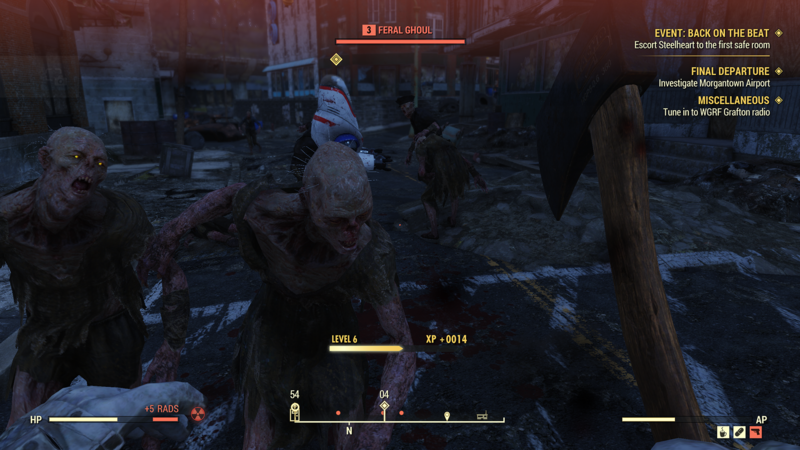 Things just keep getting worse in the world of Fallout 76, as a support ticket glitch displayed personal information to other players. This information came to light when Reddit user Jessiepie posted to the Fallout 76 subreddit to explain the situation. Their original post contained an image proving this is happening, but the image has since been removed to protect other’s privacy, although that has gone a bit out the window at this point. In an unfortunate twist of fate, the main support tickets shown in the post are from fans requesting a new bag by including their power armor set receipts. Not only could players see others’ information, but they could also update and close tickets. The post reads as follows. Hi guys! First time Reddit poster here. I am a gleeful vault dweller as yourselves and as of this moment I am receiving every single one of your support tickets on my Bethesda account. Mostly it’s your receipts for you power armor set requesting a new bag. These receipts contain all your info. Your email and home address and the [type of] card you used to buy this extremely glitched game. I can see the problems you are having with the game, yes I’m having them too. And I know a few of you want a refund that Bethesda has said can’t happen. I can update your ticket for you, if you’d like. And close it! How fun is that? Please rest assure I have no desire to stalk you or mess with your Fallout 76 experience. I just wanted to let y’all know that this is happening atm. Anyway, I gave Bethesda a heads up via the Twitter. So we will see. I wouldn’t want to be the person having to respond to all of you. Currently there’s 8 pages of canvas bag requests, tickets and “fix or refund me” demands. Is there anyone enjoying the game like me? Oh well! See you in Appalachia. Be nice to each other. I love you! In response to this privacy breach, Bethesda has issued an official statement on Twitter apologizing for what has happened and promising to notify those who have been affected. If you have submitted a support ticket to Bethesda, be on alert and consider canceling the card you used as a preemptive measure, even though only card types were revealed. Be sure to take a look at your financial statements regularly and closely. Monitor your email account for suspicious activity and consider deleting sensitive information that may be in your emails or saved in, for example, your Google Drive. Between the review scores, lawsuits, fan demands, and slew of in-game issues, Fallout 76 has become a PR nightmare. We’ll keep you posted as this saga continues.